Hong Kong has been one of the top destinations for expats for a long time. The reason for this is that Hong Kong offers a unique exotic location to expats with diverse culture, architecture, and travel opportunities. Arguably, Hong Kong is also one of the most “Westernized” parts of Asia, which has made the locale quite appealing due to the plethora of foreign firms that have instigated their international presence there. That being said, there is an important consideration for expats to ponder carefully before relocating to Hong Kong and that is job availability and the salary required to truly live well in Hong Kong. Hong Kong is surely a sensational city that attracts many expats from around the globe. In fact, it will not be a surprise to see an expat from the United Kingdom, United States, Spain, South Africa, Australia, Canada, and Russia on the street in the same day. The reason that Hong Kong is such a cultural gem is that it has serious professional opportunities that can pay enough to allow professionals to live in the lap of luxury if they make the proper salary. Relating to quality of life, Hong Kong has great restaurants, performances, and travel options to Southeast Asia for expats to enjoy. The exotic excitement that exists in Hong Kong has a very luxurious flair that many expats crave when they are imagining their international assignment. Additionally, Hong Kong has wonderful infrastructure allowing expats to live quite well there and in some cases, even better than their home countries. While Hong Kong does offer a great deal, Hong Kong does have one major downfall and that is its cost of living. Hong Kong has many job related to the international shipping and financial sector. Furthermore, Hong Kong also has high level education positions that if obtained, can allow the expat to live very well. Given that the average price of a hostel with a shared restroom in Hong Kong is $100 per night, it is not difficult to imagine that the expat will need a considerable amount of capital to live well in Hong Kong. Usually, it is best for the expat to plan to spend $2,000 and up on their rent in Hong for even the smallest apartments. This is not including the substantial deposit and sometimes many months rent that is required to get into a building. Hong Kong’s views and limited space make the real estate prices soar regardless of the impressive development that Hong Kong possesses. This is why Hong Kong is best for the expat who is more established in their career rather than the recent graduate that wants an international internship or teaching job abroad. This way, the expat can actually afford to live in Hong Kong properly. The salary that is recommended to be able to live well, travel, and afford the finer side of life in Hong Kong is at least $50,000 per year realistically. If the expat has an alternate source of income, then this absolutely is possible to enjoy Hong Kong to the fullest. Hong Kong is in a difficult political situation in that they are trapped between former British influences and the powerful Chinese government. Hong Kong on its own strives to have its own cultural identity; however, the Chinese government does not want to support this goal. Where this has been particularly detrimental to Hong Kong is in their banking sector. The original purpose of so many expats relocating to Hong Kong was the ease of conducting financial transactions there by moving money to one’s Hong Kong bank account through sending money internationally to Hong Kong. 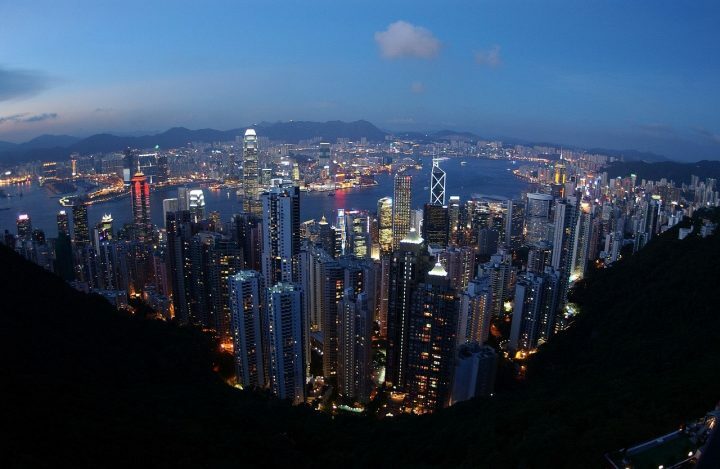 Hong Kong, in many cases, served as the financial gateway capital to Asia. The new banking regulations have made the nature of opening accounts for expats in Hong Kong quite difficult, which could slow the appeal of expatriation to Hong Kong in the long term. Additionally, the political tensions with China also make Hong Kong an unstable place due to its possibility of losing many of its freedoms to China’s grasp. Hong Kong will continue to be one of the financial headquarters of Asia; however, the nature of the relationship to expats will greatly change in the years to come. Hong Kong, while offering a very rich experience to expats, requires a great deal of capital to live well there. Expats must take this into consideration when contemplating whether their salary in Hong Kong is in fact worth it for them to realistically live well and save while being abroad. For expats that are more established, this will be a non-issue and for those expats that are less seasoned, it will be the decision that will make or break whether Hong Kong is a worthwhile place for expats to reside. Contemplate the aforementioned facts and then you decide, Is Hong Kong the right place for you to be an expat?